Since I finally got around to watching this great movie, I’ve been marveling at its premise and its execution. Together, Kudlow and Reiner amount to a modern day Spinal Tap, but their touching story is one of frustration rather than foolishness. The Canadian metal trio (with rhythm guitarist Dave Allison and bassist Ian Dickson) were sharing festival bills with Scorpions and Bon Jovi in mid-eighties; today’s hard rock heroes like Slash count them among their influences. But success always eluded them and by the time the film cuts to 2008, Kudrow is catering school lunches and Reiner works construction. The Story Of Anvil chronicles their rise and fall in a beautifully heartbreaking fashion, placing front and center the dream that keeps these aging rockers and best friends doing what they love in spite of all obstacles. In hindsight, the fact that this human interest story became a hit among critics and music fans isn’t all that surprising. That so many formulaic imitators have pockmarked the five years following its release, however, is. 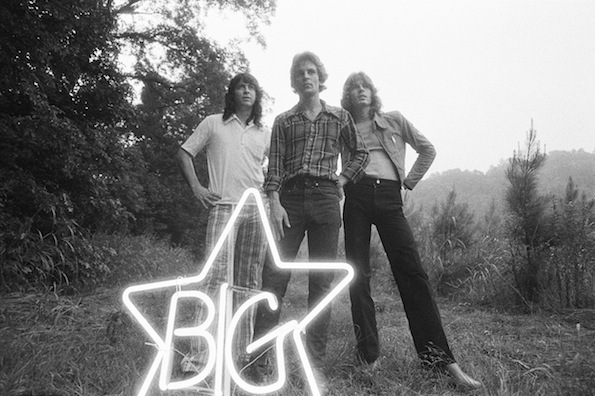 Big Star tribute Nothing Can Hurt Me, festival buzz film A Band Called Death, the Academy Award-winning Searching For Sugar Man — these recent music films make up the “discovery” genre of rockumentaries, and by that I mean they’re essentially The Story Of Anvil with different subjects. Plot points are almost entirely interchangeable: an artist who experienced a brief taste of mainstream acceptance falls victim to a case of wrong place, wrong time. They ultimately fade into obscurity, despite being cited as widely influential within their respective genre. With the making of the documentary, however, renewed popularity and recognition for their musical achievements is suddenly within their grasp (twenty or thirty years late, of course). In real life, this often corresponds to an upward trend in record sales and opening slots on major tours or at festivals. 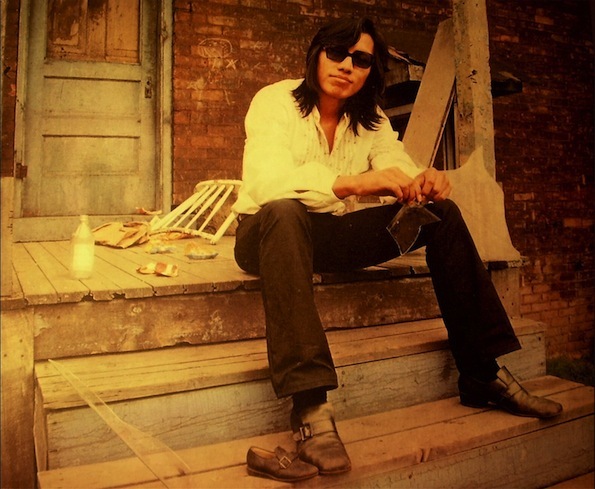 Some, like Sugar Man’s Rodriguez, even receive honorary doctorates. Talk about delayed gratification. But get this: they’re all really good movies, too. I’ll be the first to admit that these films single-handedly restore my faith in music and the human spirit every time I watch them. And if the absurdly high scores they hold on Rotten Tomatoes are any indication, I join legions of admirers with that statement. The filmmakers handle these artists’ incredible failure with such respect as to keep their dignity intact, if not strengthened. Seems like a win-win for all parties involved. The question raised is not why we love these films, because pinpointing their appeal is easy — practically anybody with a soul can get behind a feel-good movie that gives credit where credit is due. The truly nagging implication deals with an issue of equity. We all know that for every one Green Day or Mumford & Sons, there are hundreds of pop-punk and indie folk bands out there struggling to “make it.” You know who I’m talking about: those young kids hungry for a nonexistent record contract or those middle-aged guys who maintain that their flirtation with stardom back in the day was their proudest moment. So how do we decide which underserved artist gets this type of onscreen closure? Does every band that never made it big deserve their own documentary? One may be inclined to say, well, everyone. After all, success is so much a matter of luck in this business, and who’s to say which acts deserve it? I can think of five more great bands off the top of my head who have wallowed in anonymity for far too long, just like these feature film stars. I’m sure you can, too. Isn’t it criminal? Imagine what the Sugar Man treatment could do for them. Surely they’d be forever grateful if given the chance to be the next Anvil, and tons of bandwagon fans buying their records out of guilt and/or appreciation wouldn’t hurt. Musical socialism could be the way to go. On the other hand, though, would it really be that great for audiences? With a film here and a film there about every odd band tinkering away just outside the mainstream, how would we dig through them all? Neglecting to bring to light these one-of-a-kind tales would be truly criminal, but conversely, not every amateur band’s story has enough of that unique blend of hardship and redemption to compel an audience, either. Death were three African-American brothers playing protopunk years before the genre took off. That alone is significant. Pathos takes hold when we factor in their years spent floundering in the slums of Detroit and the tireless efforts of die-hard record collectors that helped them capture national attention. These guys have such an incredible story to tell that it would be idiotic not to catalog in a documentary. So what makes the garage band down the street so special? Death’s “Politicians in My Eyes.” The Ramones wouldn’t record a note for another five years. The consequences here are farther-reaching, too. Making popularity something one deserves instead of achieves would eliminate any sense of “making it” in the traditional sense — and possibly change the whole nature of the music business. Realistically, though, this meritocracy might not be a change for the better. As the industry stands (on shaky ground, mind you), “fame” and “entitlement” simply can’t be equated. Unfortunately for up-and-comers and waxing nostalgics alike, it’s not about fairness, and it never has been. The increase in amateur musical output over the past few decades with the advent of the internet has been huge; there’s a whole lot more stuff out there than there was when my parents were buying records. A more even playing field, one could argue, would make it impossible to separate the cream from the crap. This is assuming you equate popularity with quality of music, which clearly not everyone does. But in any case, when quantity so completely drowns out quality, both artists and listeners lose. Truthfully, none of these are questions to which I have the answers. Maybe nobody does. Only one thing is for sure: I’ll continue to enjoy these documentaries for both their entertainment value and the life-changing service they perform for musicians whose fifteen minutes is long overdue. What do you think? Who deserves a Sugar Man-style documentary, and why? Let us know on our Facebook page HERE. The opinions expressed in Out On A Limb are of the writers’ and don’t necessarily reflect the opinions of The Owl Mag.